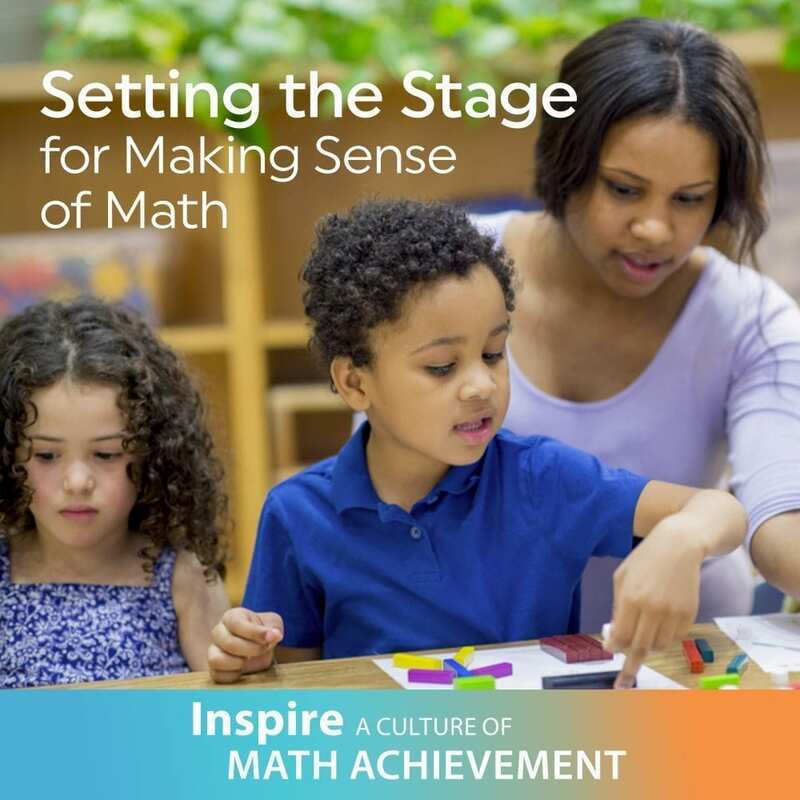 Setting the Stage for Making Sense of Math is the second in a four-part blog series on inspiring math achievement in the classroom. To read the first blog post, head over here. I walked around the room and was stymied by what I saw on students’ papers…every single student drew bubble letters for the number and decorated each digit. So much for connecting to what students already knew. I had my work cut out for me! In my last post, I shared about creating a culture of risk taking in the mathematics classroom. When the environment is right, we are better equipped to have students reason and make sense of the math they learn. The Reasoning and Sense-Making category below of the Instructional Practices Inventory, describes teacher and student behaviors when reasoning and sense-making are part of the mathematics classroom. My classroom story above clearly demonstrates that students did not understand the math concept and I couldn’t even begin to have them look closely to discern the pattern and structure of our place value system because their drawings were useless for this purpose. They were not reasoning and making sense of math. They were unintentionally doing an art project!! 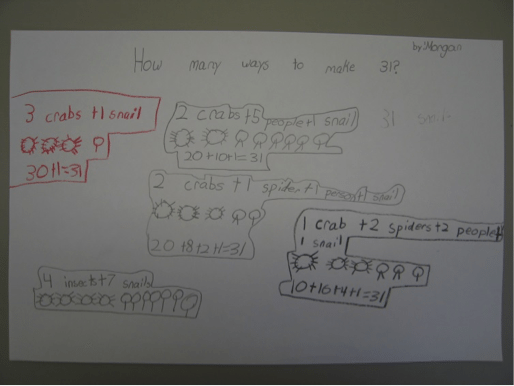 I used the book One is a Snail and Ten is a Crab by April Pulley Sayre and Jeff Sayre. This is a fun counting by feet book and it can be used for many different math lessons. Students chose the number to fill in the blank: “How many ways can you make ______?” I asked them to use words, pictures, and numbers to show their answer based on the context of the story. 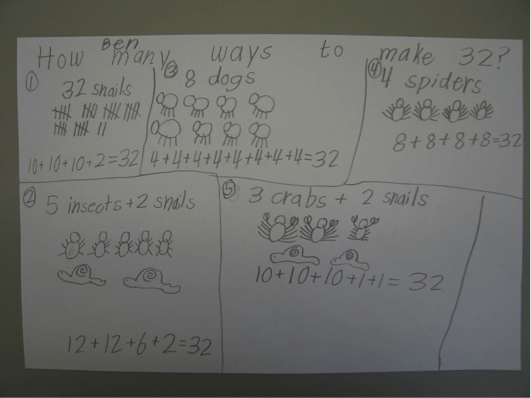 By asking students to represent their thinking in words, pictures, and numbers and allowing students to choose the level of difficulty, students were challenged to reason and make sense of composing and decomposing numbers at a level that was accessible to them. The use of these two strategies made learning experiences accessible to all students without compromising the rigor of the problem. My students who had trouble representing 1,348 were not thinking about how the number represents a quantity of something. If I want students to use decimal notation for fractions with understanding, I need to set the stage for them to make sense of these numbers. 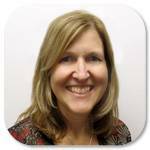 They need physical experiences and contexts. 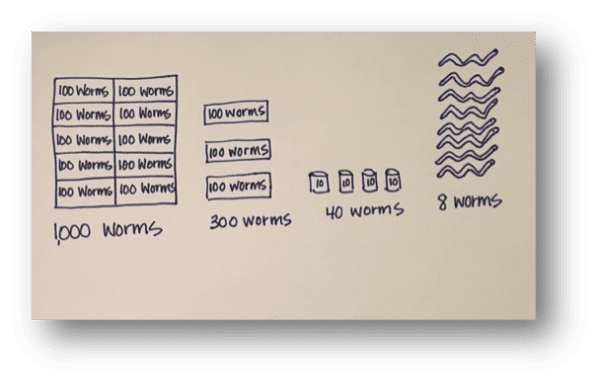 If I want them to be able to compare two decimals by reasoning about their size, they need to have visuals in their minds rather than following rote procedures for comparing. Otherwise, they will just continue to see numbers as labels and digits to color in rather than ways to show quantities. 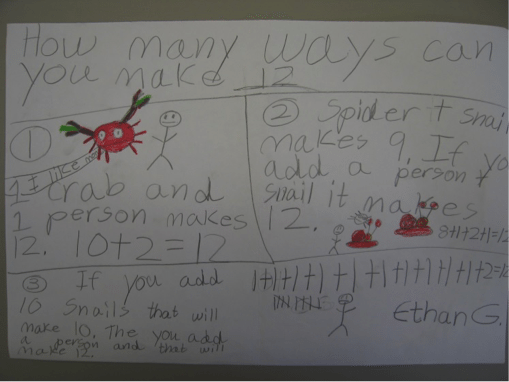 What kinds of experiences do you provide for students to help them reason and make sense of numbers?